Premium Melbourne decking company whos main focus is providing timeless outdoor living solutions. Prodecks are passionate about decking and design with everything from local projects to large scale designs. 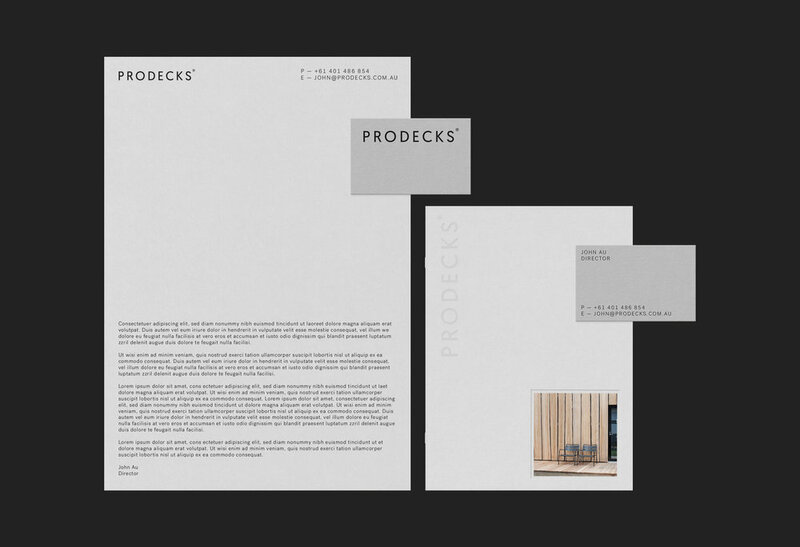 Prodecks required a brand that would speak to a large audience whist maintaining the company ethos of simplicity and specality.